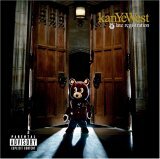 It was 15 years ago that a young and hungry talent from Chicago by the name of Kanye West changed the course of hip hop forever with the release of his debut album, The College Dropout. Talking to some of those involved in the making of this classic LP, Will Lavin discovers that it could have so easily gone another way.Kanye West and Drop-Out Bear (Photo by Theo Wargo/WireImage)“This the producer on the Roc, he rap better than most rappers,” said Roc-A-Fella Records CEO Dame Dash over the sped up Queen sample on the song ‘Champions’, released in 2002. It may have been a bold statement &#8211; one of many to come out of the mouth of Dame Dash over the years &#8211; [&#8230;]The post 15 years of The College Dropout – The Kanye West classic that almost never was appeared first on NME.